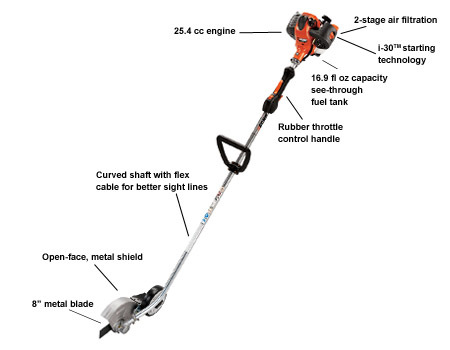 The Echo PE-266 is a powerful performing edger. Provides that perfect manicured look for commercial and residential sites. It is lightweight and easy to maneuver. The heavy-duty, open-faced, metal shield eliminates clogging.